Can you believe that it's time for another school year to start? No matter if this is your first year or your twentieth year teaching, the Back to School rush can be chaotic and overwhelming. 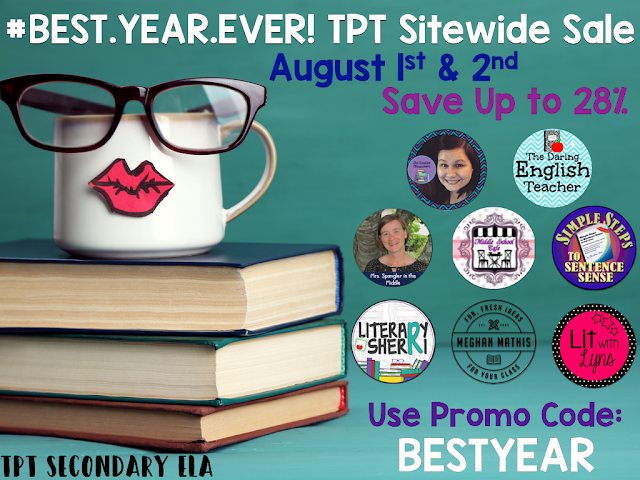 Let the TPT Secondary ELA Sellers help you have the #BEST.YEAR.EVER! Join us in celebrating the TPT Back to School Sale.